Yu-Gi-Oh! TRADING CARD GAME Soul Fusion, returns to the roots of Yu-Gi-Oh! with new Fusion Summoning strategies! Deck themes from the earliest years of Dueling get a new lease on life, and there are more new cards to bolster strategies from recent releases as well. Here’s some of what you can find in Yu-Gi-Oh! 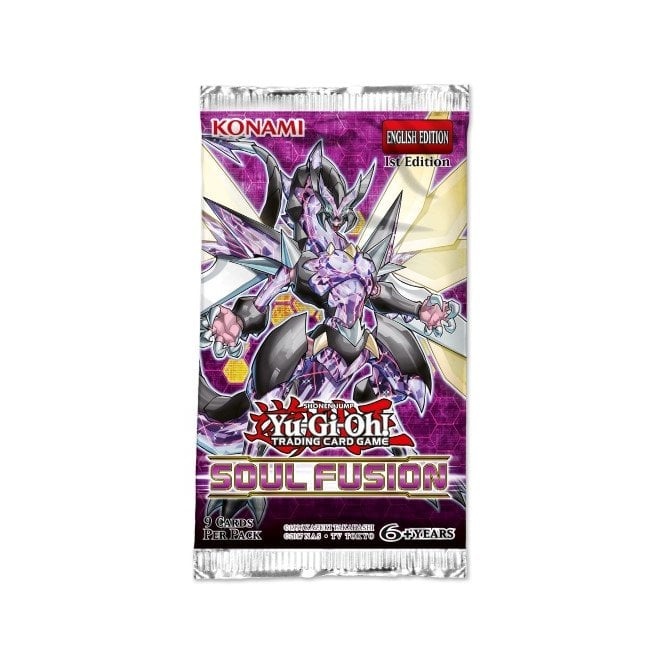 TRADING CARD GAME Soul Fusion! This Booster contains 9 cards.